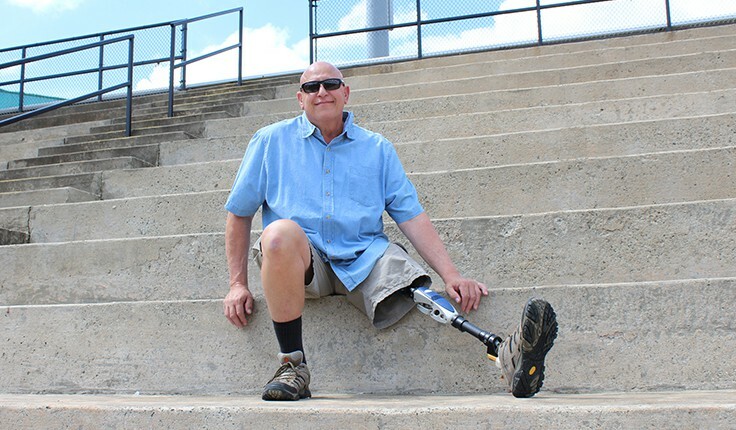 While all injuries are difficult, the loss of a limb can change a victim’s life forever. These circumstances are even more tragic when they occur at the hands of another. Negligent and reckless behavior can cause devastating injuries that affect the victim, as well as the victim’s family. At Harris Lowry Manton LLP, we understand the physical, mental, and financial challenges that a loss of a limb presents. That is why we diligently work to secure a high-value verdict or settlement that adequately compensates your pain and suffering. If you or a loved one lost a limb due to the actions of another, contact our experienced Atlanta catastrophic injury lawyers for legal representation you can rely on. Auto, truck and motorcycle accidents. Catastrophic auto, truck and motorcycle accidents can result in amputation. Crushing injuries, as well as dangerous levels of oxygen loss in the limbs, may necessitate an amputation. Construction site accidents. The inherent dangers of construction sites can result in severe injuries – falls from heights, being crushed, having heavy objects fall on you – including loss of limb. Medical malpractice injuries. When physicians fail to meet a standard of care by allowing an infection to spread, misdiagnosing an illness, or failing to read a chart correctly, a wrongful amputation can occur. Our knowledgeable Atlanta loss of limb lawyers have successfully handled a variety of incidents resulting in amputation. Trust us to handle the complexities of your case. The loss of a limb has long-lasting effects for the victim and the victim’s family. While many medical innovations assist amputees in living their everyday lives, these advancements are costly. Medical bills quickly escalate, placing the family in an extremely challenging dilemma. Our skilled Atlanta loss of limb attorneys work to ensure that our clients can live a full life despite their injuries. We understand the high price of this endeavor when prosthetics and continuous medical care become necessities of life. When an accident has led to an amputation, your life will drastically change. The accomplished Atlanta loss of limb attorneys of HLM diligently work to secure high-value outcomes for victims to help you move on with your life. Our strong reputation has resulted in numerous referrals from other legal professionals. You can reach our Atlanta office at 404-998-8847 or our Savannah office at 912-417-3774. You can also complete our contact form to schedule a free initial consultation.